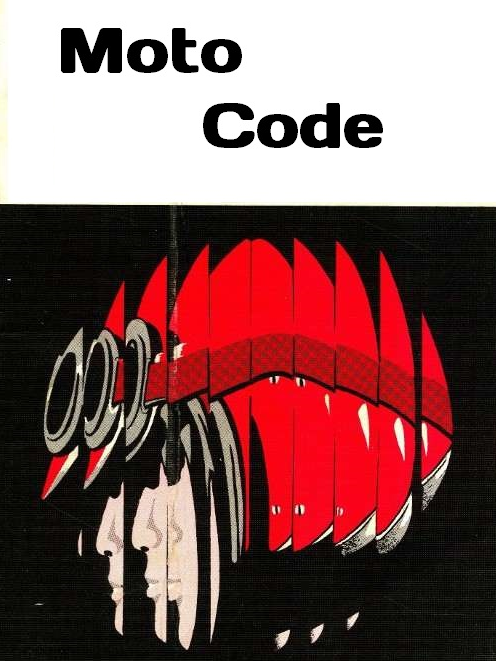 Moto Code: 2000 Page Views! Please allow me to humbly thank each and every person who took the time to read my blog. 2000 views may not seem like a lot to some, however it means a lot to me! When I started, I really had no idea if anyone would be interested in my musings, it was more of a personal log. I hope that I can continue to provide you with some entertainment, insight and enjoyable reading. Something I have never really explored before is local motorcycle history. This is primarily due to the fact that Canada was never a true manufacturer of motorcycles (Bombardier and early Indian production aside) but an importer. That being said, there are a number of stories, shops and true characters whose stories should be told. I can relay a few personal reflections from my early dealings with British bike shops, however these are from the mid 90's and well past the glory days. I will post about my induction into this world at a later time. 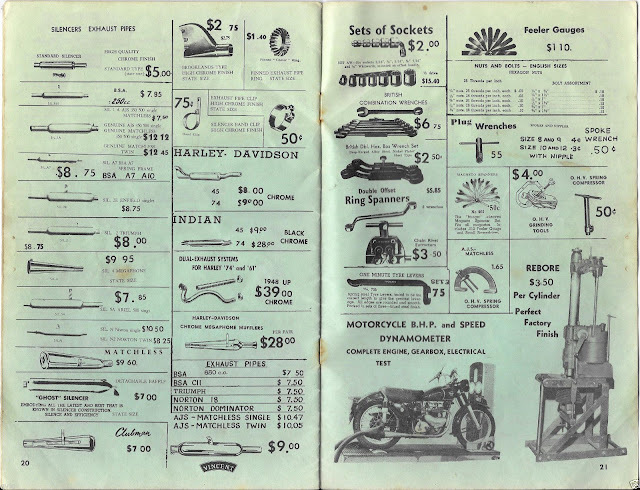 What I would like to do is preserve the memory of what bike shops used to be before the era of box stores and gentrification. These were neighbourhood establishments were guys could 'BS' at the counter, get advice and feel at home with like minded enthusiasts. 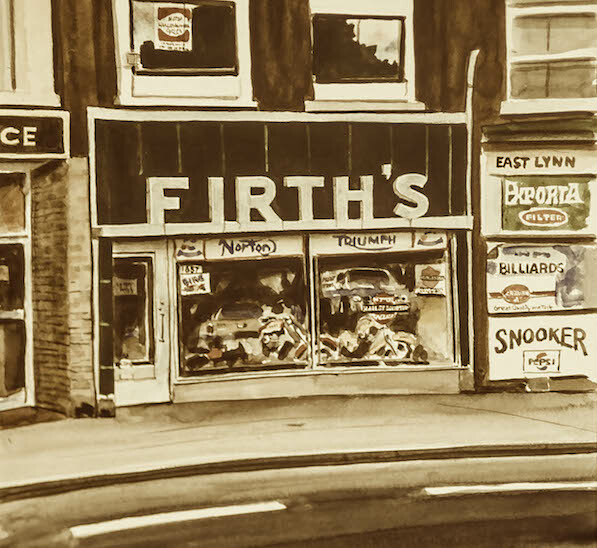 In Toronto there used to be a dozen of these shops, all gone now. Hamilton has managed to maintain the local shop on King street West, Sturgess Cycle. I have always had good service there and purchased two new bikes over the last decade. Poole's Harley Davidson is still on Parkdale but are no longer an official dealer. I'm going to start the project with Firth Motorcycles, which was located at 1857 Danforth Avenue in Toronto. 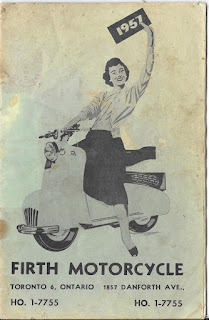 Harry Firth was the primary importer of AJS/Matchless, Norton and later Royal Enfield. 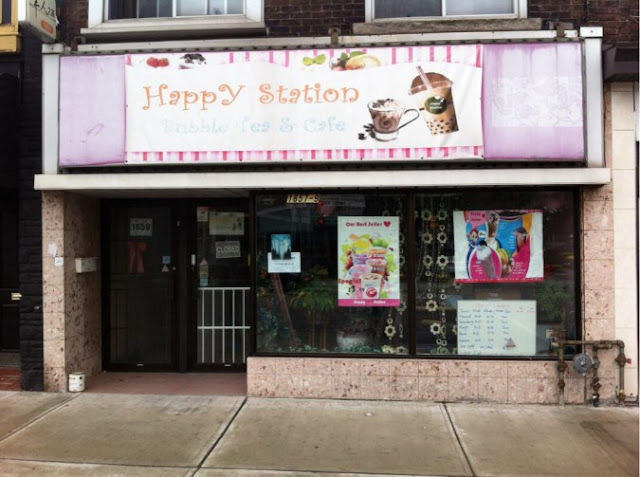 The building is still there, however it is now a bubble tea shop! When the bike is done, I would like to drive by and pay homage to a piece of our lost motorcycle culture. 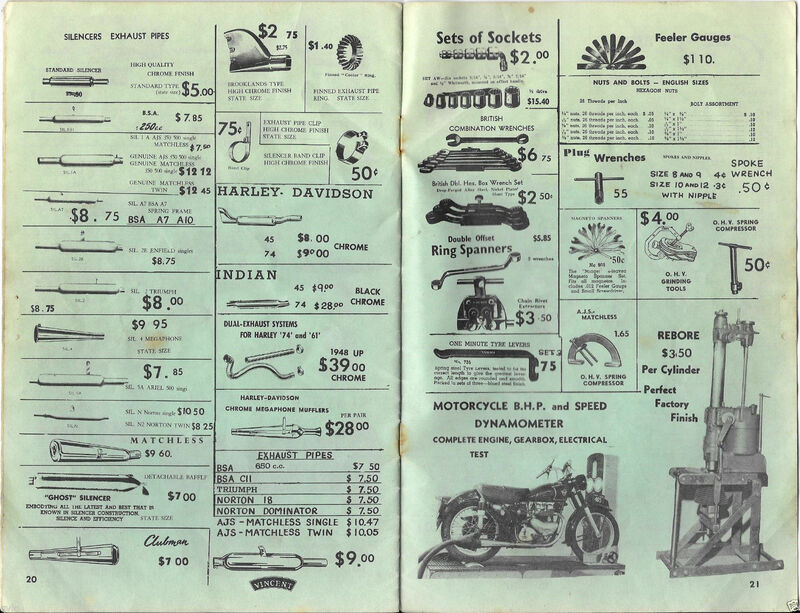 Below, we have a neat vintage advert and a picture of the old shop then and now. If anyone out there has any literature, stories or photographs I would be very interested in seeing them. Please feel free to leave a comment below. 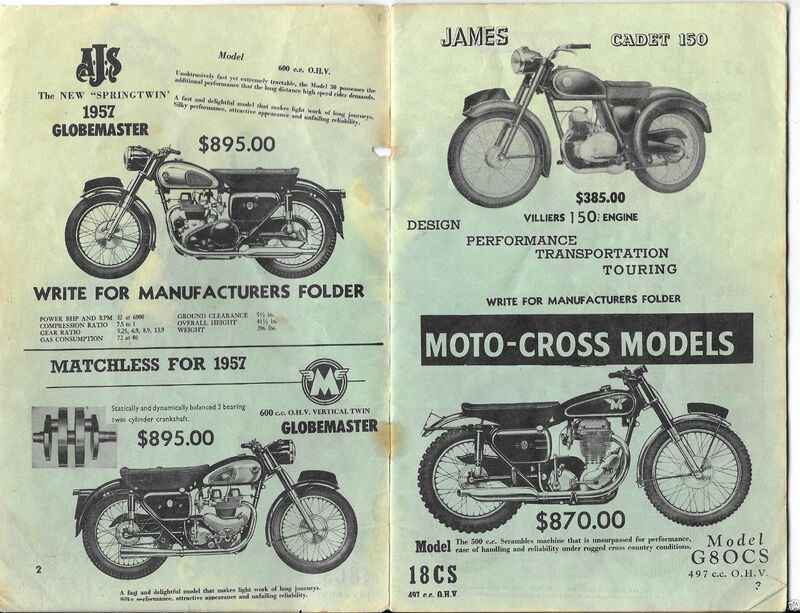 Interesting to see the both the Matchless and AJS models sharing the name Globemaster rather than having distinct model designations. The Globemaster name is new to me, localized marketing perhaps? Those Prices! Where is my time machine? I believe I have a set of the $9.95 megaphones which were salvaged from Kohl's in Lockport. This ad is the first time I have ever seen them advertised. An artist's rendition, I hope to find an actual photograph soon. As it stands now, I wonder if the old sign is still underneath? It looks like the new proprietor just put up a banner.